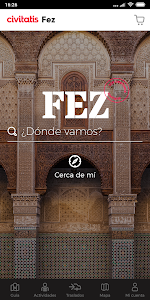 La guía de Fez de Civitatis.com incluye toda la información turística necesaria para visitar la capital cultural, religiosa y espiritual de Marruecos. 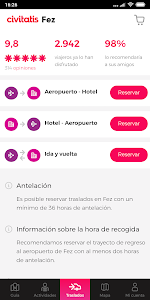 En nuestra guía encontrarás datos prácticos para organizar tu viaje y aprovechar tu tiempo al máximo: qué ver, dónde comer, qué lugares cercanos puedes conocer, cómo ahorrar dinero y mucho más. • Qué ver: Descubre los puntos de interés para explorar Fez, incluyendo información práctica sobre cómo llegar, horarios, días de cierre y mucho más. • Dónde comer: Conoce los mejores lugares para probar la gastronomía de Fez, una de las mejores y más auténticas de Marruecos. • Excursiones: Descubre los lugares de interés del norte de Marruecos que puedes conocer partiendo desde Fez. 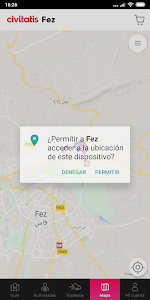 • Visitas guiadas en español: Paseos y recorridos con guía de habla española, desde un recorrido por la Medina de Fez hasta un tour panorámico que también incluye las demás zonas de la ciudad. 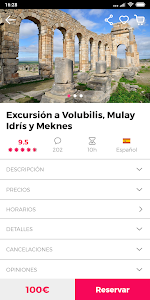 • Excursiones en español: Ofrecemos excursiones a Merzouga, Sefrou, Chauen y muchos otros destinos cercanos, siempre con guía en español. 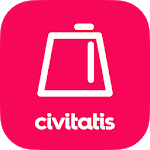 Fez guide Civitatis.com includes all the tourist information necessary to visit the cultural, religious and spiritual capital of Morocco. 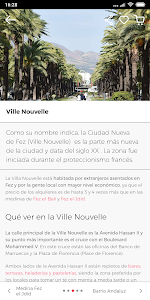 In our guide you will find practical information to organize your trip and take advantage of most of your time: what to see, where to eat, what to nearby places you know, how to save money and more. • What to see: See the sights to explore Fez, including practical information on directions, opening hours, closing days and more. • Where to eat: you know the best places to try the cuisine of Fez, one of the best and most authentic of Morocco. • Where to stay: Best sleeping areas, areas that you should avoid, how to get the best prices on hotels and more. • Excursions: Discover the sights of northern Morocco that can meet starting from Fez. Interactive map: On our map you can plan journeys to visit the attractions on foot or by car. 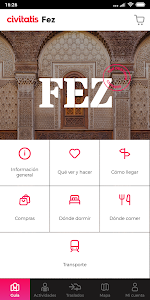 Walks and tours with Spanish-speaking guide from a tour of the Medina of Fez to a panoramic tour which also includes other areas of the city: • Guided tours in Spanish. • Spanish Excursions: We offer excursions to Merzouga, Sefrou, Chau and many other nearby destinations, always with guide in Spanish. • Airport Transfers: If you want to save you headaches our drivers will be waiting at the airport with a sign with your name and take you to the hotel in the shortest possible time. Moreover, the price is cheaper than a taxi. • Accommodation: In our'll find thousands of hotels, hostels and apartments with best price guarantee. Similar to "Guía de Fez de Civitatis"